My specialty is using paint and color to capture the motion and energy in my sports pieces adding a three dimensional effect. In my horse and pet portraits, I specialize in capturing the personality of my subjects. 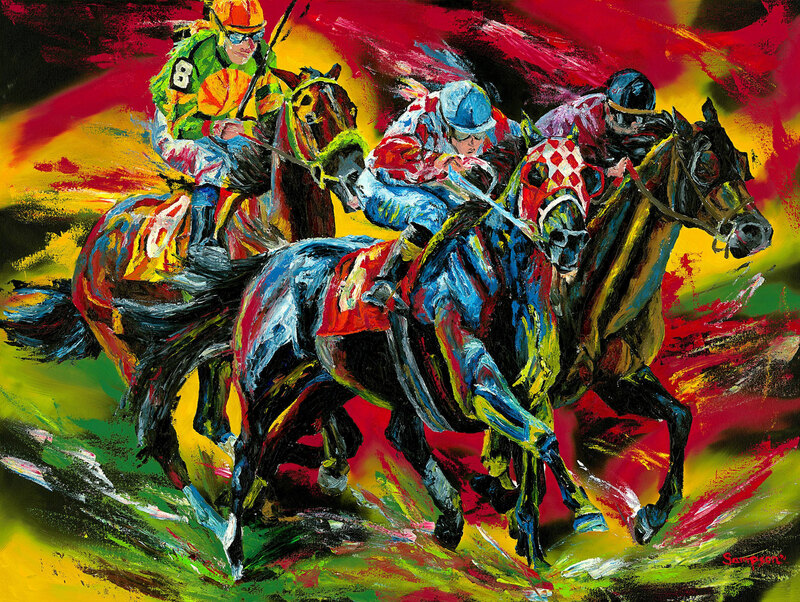 Sports artist Debbie Sampson’s paintings capture motion in ways few fine artists are able to do. Self-taught and specializing in capturing the triumph and energy of professional athletic competition primarily with oil on canvas as well as graphite pieces is what sets Debbie apart. Debbie works with every client to develop a unique piece of art, ensuring complete satisfaction and her attention to detail makes her a popular choice of professional athletes, their fans and corporations involved with sports.